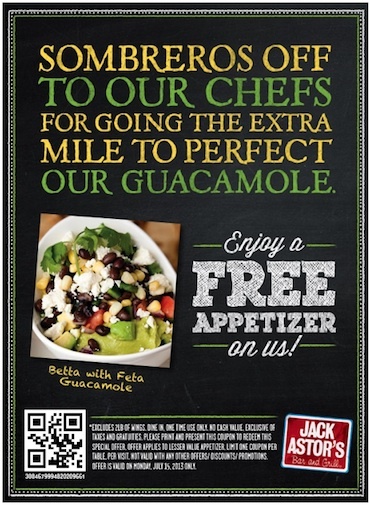 Print this Jack Astors Coupon to enjoy a free appetizer on Monday July 15, 2013. The coupon excludes 2lb of wings. Dine in, one time use only. Please print and redeem this special offer. One coupon per table, and not valid with any other promotions or special offers. 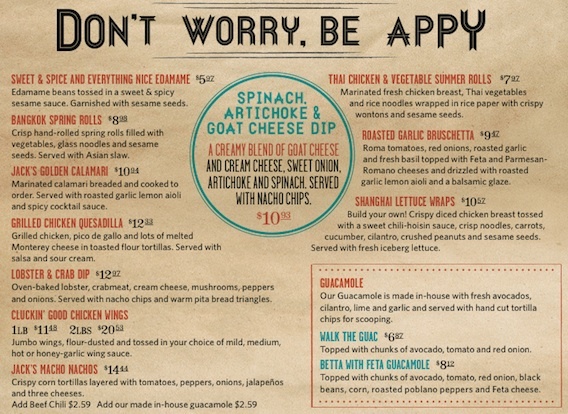 Below is a screenshot of Jack Astors Dinner Appetizer Menu at the Yonge & Bloor location in Toronto. Your prices and appetizer menu may be different.